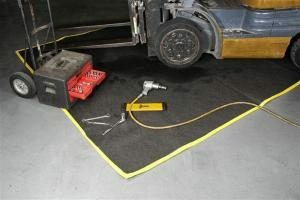 The ENPAC Maintenance Blanket is designed to be utilized under vehicles or leaking equipment. The blanket is made of 8 oz. 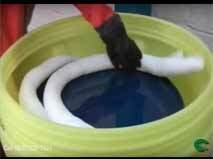 non-woven geo-textile that is 100 mils thick, backed by 1 layer of 20-milfuel/chemical resistant polyethylene.